So George Nethercutt believes Trump will settle for "no illegal immigration and no amnesty" in exchange for no border wall ("Compromise is the Hardest Word," 1/24/19)? This is a crazy, illogical, undemocratic situation where one man holds a nation hostage over an ineffective, wasteful plan to construct something akin to the Great Wall of China, an anachronism from a simpler time. 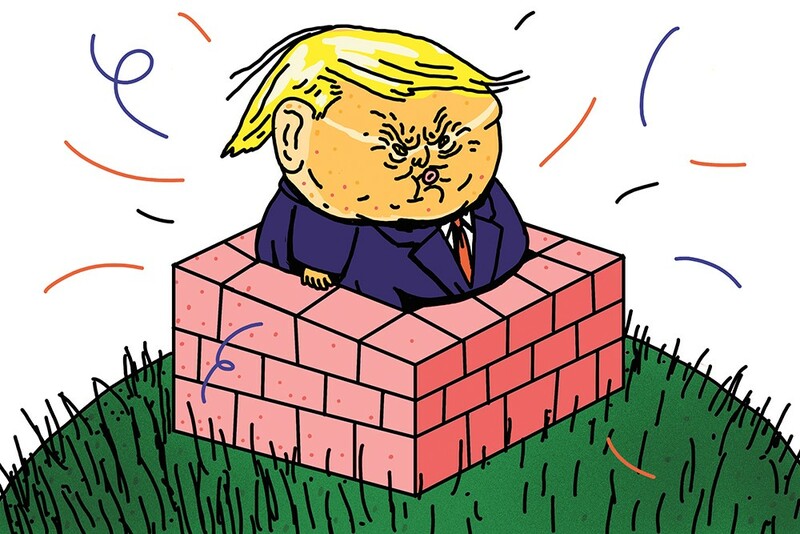 The vast majority of Americans want no wall, and when you add in the vast number of Americans who do not care one way or the other, democracy itself says "no wall." The time for compromise is over. The time for impeachment has come. Bill Bissell: Since when do cops get to choose which laws they will enforce? Rick Monroe: When law enforcement stops following the law, it's time to replace them. Charles Riffle: Living in northern Spokane County and never seeing SPD, but occasional Valley sheriff's officers (live nowhere near the Valley), I cannot help but wonder [what's] going on with our police? Who and what happened to it? Grace Branstetter: Finally a conversation. So according to this sheriff's opinion, I can opt out of a ticket because I don't agree with Knezovich? Sounds like grounds for dismissal. Dereliction of duty. Paula Babino Smithson: A responsible gun owner does not leave his/her guns laying around. The only one close is the pistol they hide for protection. Walter Atch Jones: How many of you who have a problem with Ozzie's stance have spoken out about sanctuary cities and states? It's the same principle, government entities choosing which laws they will enforce, and which ones they will ignore. If you don't have a problem with sanctuary policies, it's pretty hypocritical to have a problem with Ozzie's stance.